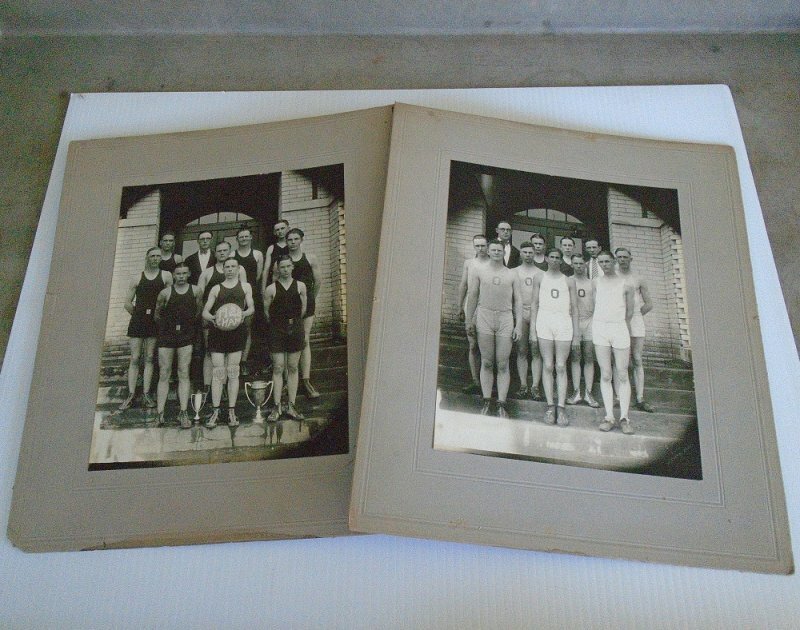 Large photos of the 1928 basketball champs from a school named 'Oxford'. This is in the area of Wichita Kansas. About 12 by 14 inches each. I have 2 large photos that I obtained from an estate sale. There is no handwriting on either of them to tell the exact location, but the photographers stamp is from Wichita Kansas. In the photo on the left that has the guys in black shirts, I can make out that the shirts say "Oxford". 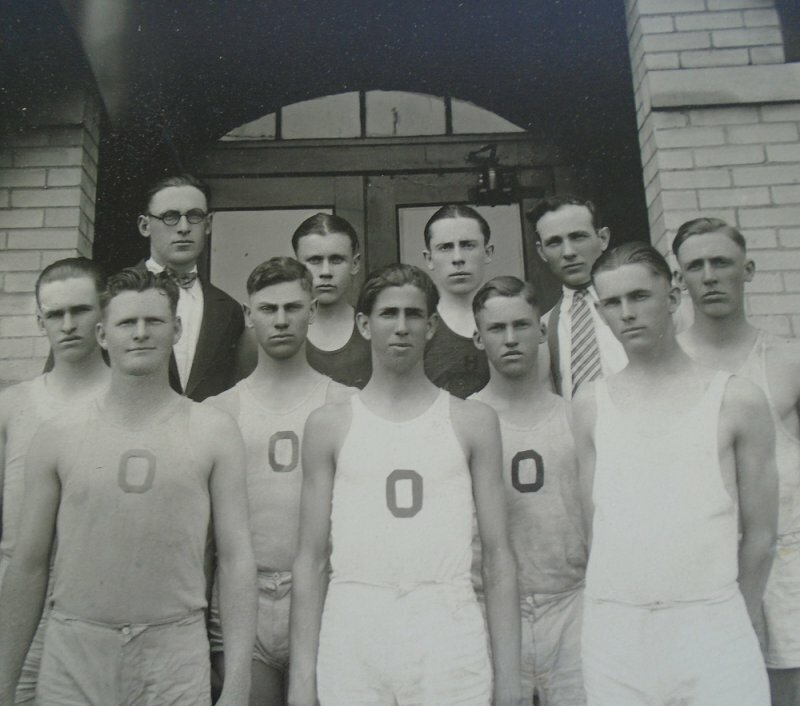 In the photo on the right, the white shirts just have the letter 'O'. I believe the same guys are in both photos. 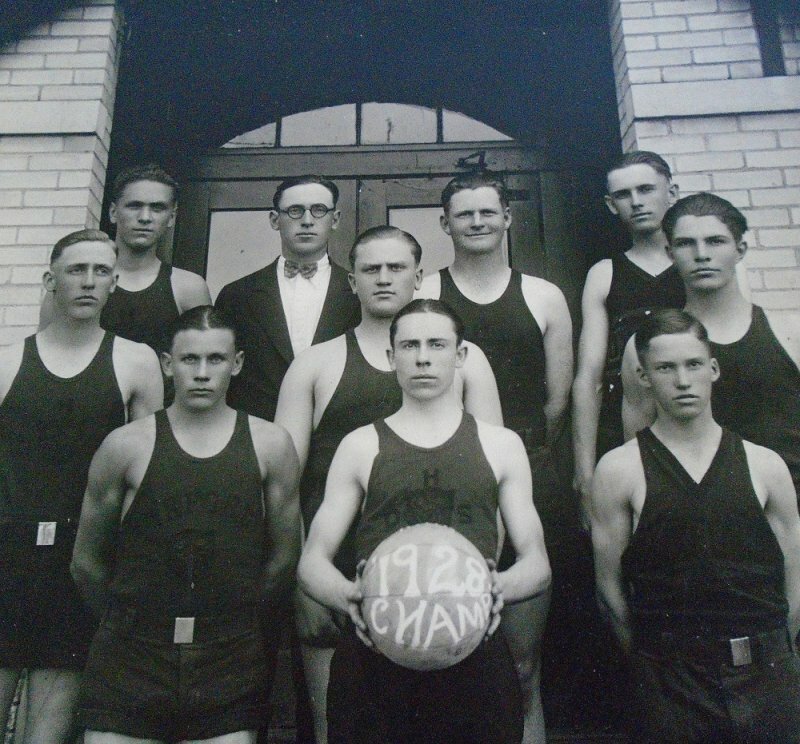 I attempted to research who the 1928 basketball champs in Kansas were so that I could determine if this is a high school, boys school, or some other type of school, but could not find any information. The photos are mounted on a hard cardboard type of backing. The overall measurement including the backing is 11.75 by 13.75 inches. The actual photos measure 7.5 by 9.5 inches. All in all, I'd say they are in very good condition for being almost 90 years old. The backings do have a couple of small chips on the edges. These guys are someone's family members. I'd love to get these back to the family or to the school for their collections. Delivery will be via USPS Insured Priority Mail from Arizona. Buyer to pay delivery charges of $7.95.